Liverpool have suffered a dramatic drop-off in form, going from 7 points clear of Manchester City to 1 point behind. The Reds have dropped 11 points from their last 9 games, in contrast, they dropped a mere 6 points in their first 20 games. 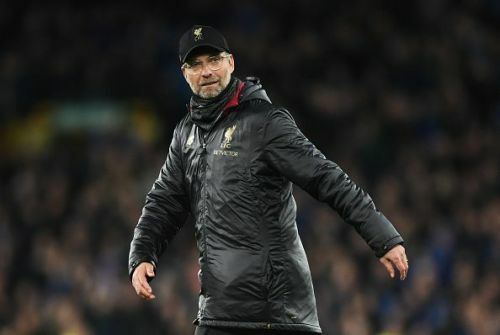 Jurgen Klopp's men have drawn 5 of their last 7 games in all competitions, with 0-0's against Everton, Manchester United and Bayern Munich. They also recorded back to back 1-1 draws with Leicester City and West Ham. These draws are clear signs of goalscoring problems, Liverpool are heavily reliant on their front 3, Mane, Salah and Firmino, to not only score all the goals but to create their own chances as well. Liverpool's midfield isn't simply putting up shocking creative numbers. None of the midfield three that started against Everton are producing a single key pass per game. Wijnaldum and Fabinho have the joint highest of the three, but only an unimpressive 0.7 key passes per game for both players. Henderson produces an even worse average of just 0.3 key passes per game. Even more worryingly, the trio have produced just 2 assists between the three of them, over the course of the entire Premier League season to date. Wijnaldum has 2 premier league goals and 0 assists, Fabinho has a single goal and 2 assists, and Jordan Henderson has neither assisted nor scored a single goal. This problem extends to Liverpool's back up midfielders as well. Adam Lallana came off the bench against Everton, to little effect. After an injury-riddled few seasons, Lallana has struggled to find any sort of form. He has also failed to register a single goal involvement this season, and only averages 0.5 key passes per game. Perhaps most disappointingly for Liverpool fans, has been the form of big summer signing Naby Keita. Arriving from RB Leipzig for around £52m, Keita has failed to hit the heights expected of him. Scoring 0 and assisting just once. Keita has failed to produce the creativity Liverpool clearly need. Keita carries on the worrying trend of the other Liverpool midfielders, averaging a mere 0.5 key passes per game. Alex Oxlade-Chamberlain is reported to be nearing a return as per Skysports. His return will no doubt be a boost for Liverpool. His stats last season were slightly better than the other Liverpool midfielders. He had 3 goals, and 7 assists before his injury. He was also averaging more key passes per game than the other Liverpool midfielders, with 1.1. 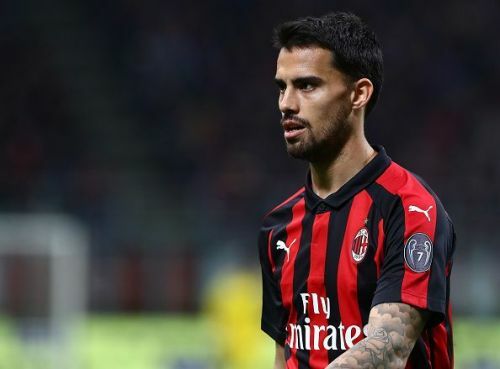 Starting his career at Liverpool, Suso has come a long way since joining A.C Milan. Now in his 5th season at Milan, the midfielder is perhaps having his best season so far. He already has 7 goals and 8 assists in all competitions. His average of 2.8 key passes per game is complemented by 2.9 shots per game and he's likely to carry on scoring and assisting at a similar rate. Suso can also play on the left, right, or behind the striker, meaning he can also offer a good rotation option. The playmaker reportedly has a £40m buyout clause, which should be easily affordable for Liverpool.